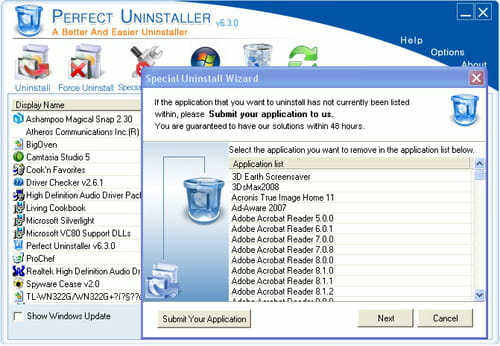 Perfect Uninstaller is a tool that enables you to remove unwanted application which cannot be removed from your add/remove program. Simple and easy to use, the tool has the ability to preview detailed information about applications that are installed on your system. 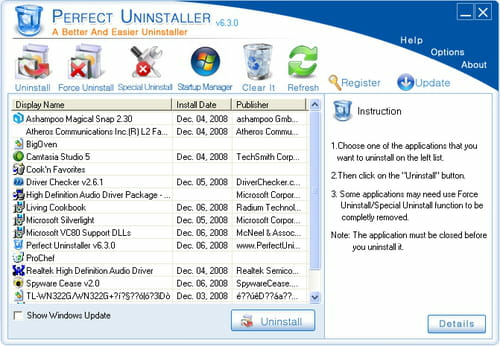 Offering an intuitive interface, Perfect Uninstaller enables you to clean registry entries and drivers from application left over.